I thought I'd start a new thread to add all of the things I cook that doesn't fit in the "cheap eatin" thread and also keep all the recipes/dishes in one place. 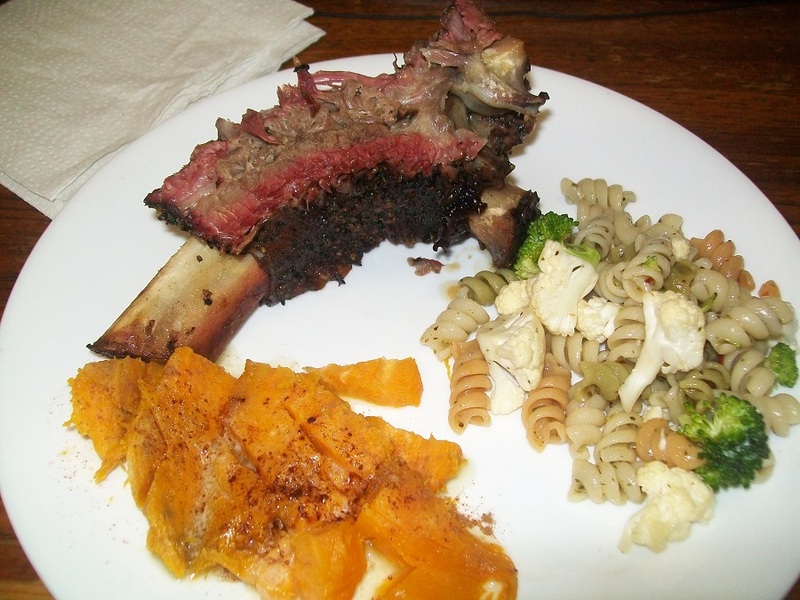 Everyone is welcome to share your dishes to this thread. It doesn't have to be a Cajun, I'll eat almost anything once!!! I cooked this last night and it came out great, it's easy to cook and everything is available almost anywhere. 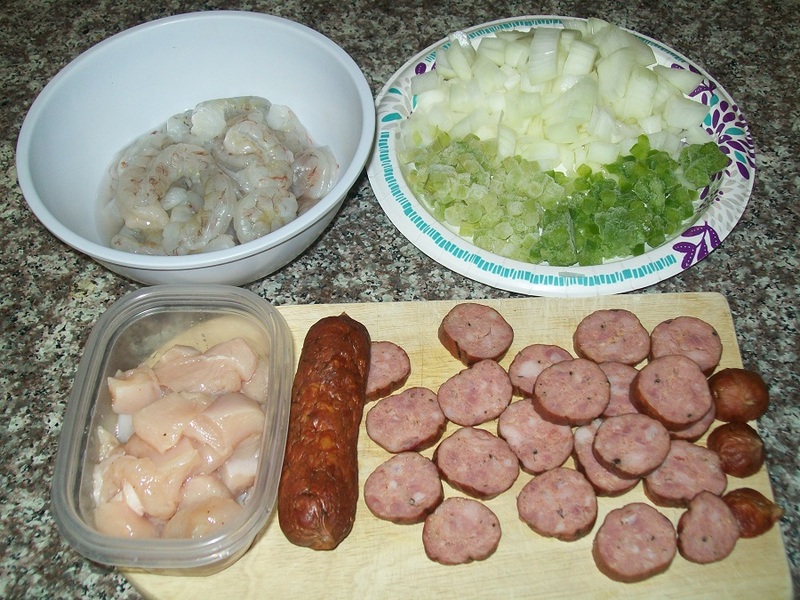 "Shrimp, sausage & chicken Creole"
Turn up heat to medium high add the diced tomatoes and juice, cook for 5 minutes. I add 1 tsp of suger and a 1/4 tsp of baking soda to reduce the acid in the tomatoes=your choice. Add the tomato sauce, sausage, chicken and let cook for 15 minutes. 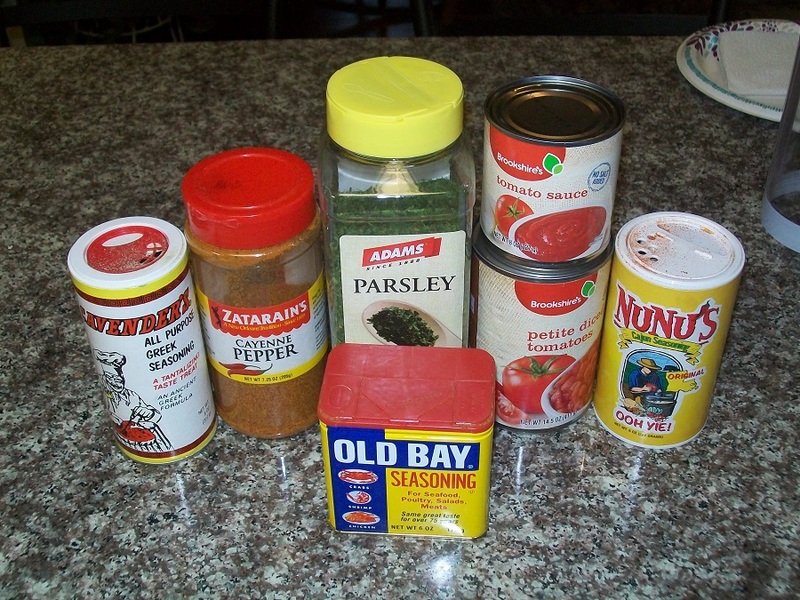 Taste the sauce and adjust seasoning to what you like. That is a very nice presentation Rajun! Thanks for your efforts. I read the one ingredient as "cadavers" not cavenders... oyvey! Rajun - I've got about 3 lbs of crawfish tails (leftover from a boil), and I saved a gallon bag of the shells to make a stock. 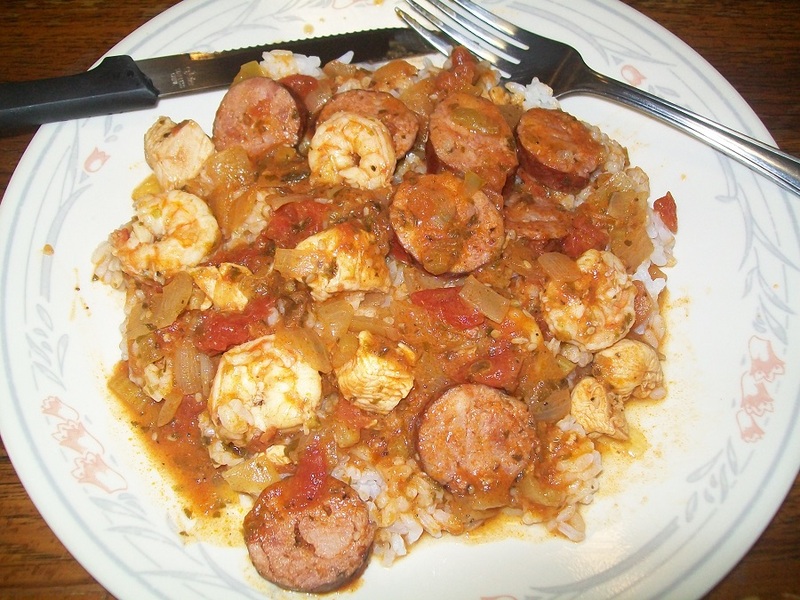 Do you have an Étouffée recipe or any other recommendations for whipping them into something? The Creole looks great, and seems like I could easily sub the crawfish in for the shrimp. Thanks for sharing the recipe. I never thought of it that way but I think you're right to an extent. We cook jambalaya and it's basically the same method as paella. I should've caught that earlier in life, I spent almost a year in Spain and did eat paella but it never clicked. I'm glad you brought that up, now I need to research the jambalaya origins and see where that takes me. I do have a recipe I typed up for a friend in NY!! It's good for all seafood. Sauté' onions, bell pepper, garlic, and celery in butter until soft. Sprinkle flour over veggies and stir to coat all vegetables, cook for 5 minutes on medium heat. You’re making a blonde roux at this point and it will thicken the gravy. Add tomato sauce and parsley, then simmer for 20 minutes. Add more stock or water if it’s too thick. If you accidently add too much stock it’s easy to just cook it down till you get the consistency you want, it should be thick enough to coat the back of a spoon. Add shrimp and green onions then simmer until shrimp is cooked about 10 minutes. Serve over rice with garlic bread, ENJOY!! You can use this same recipe for crawfish and fish, it’s also good if you add some diced hot peppers. Be careful not to stir the gravy too much if you use fish, it might break into pieces. Awesome - thanks for taking the time to share. I'm hopeful to give it a go on Sunday. 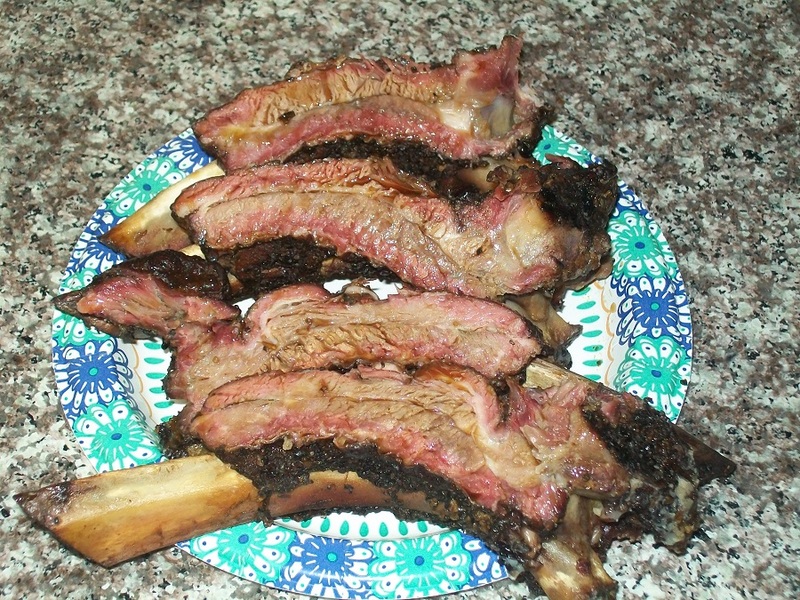 I smoked some spares, Big Cow Spares! 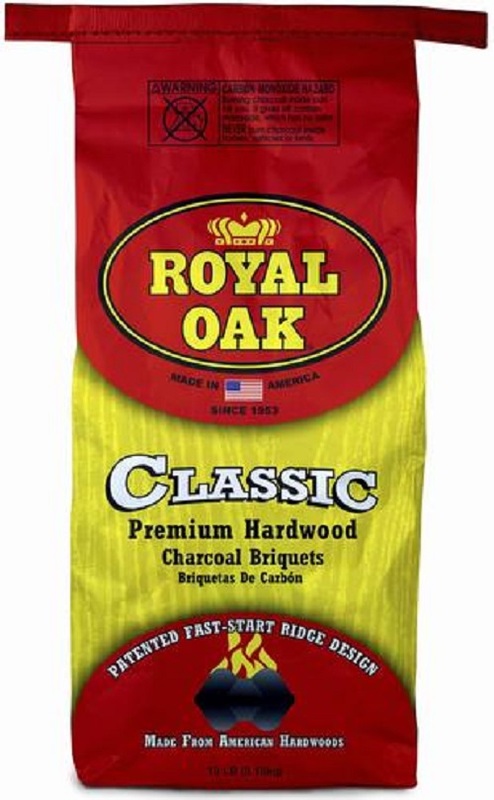 I didn't add wood but used Royal Oak Classic Premium charcoal and I'm happy with the smoke flavor. You can see wood chips in the briquets, it burned good and the smoke isn't over powering. I found these in the discount cooler, I had to rescue them before some Yahoo tried to make a gravy. 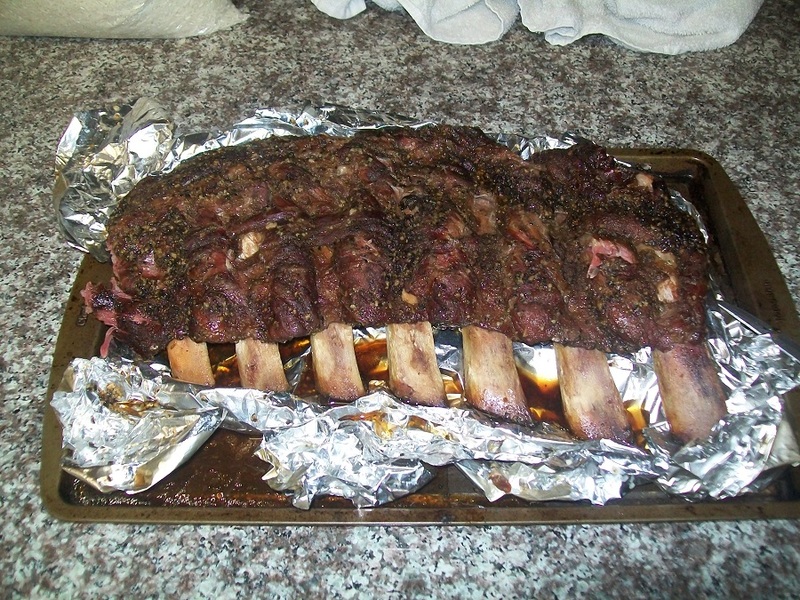 I used Worcestershire for a binder and seasoned with salt, black pepper and garlic, set them in the drum smoker, After 3 hours I wrapped in foil using "Better than Bouillon" as a broth and cooked for another 3 hours. 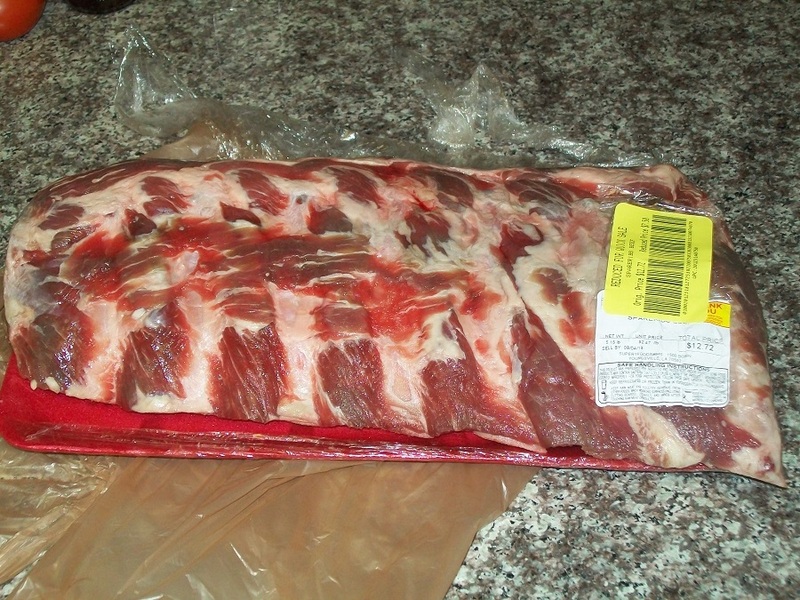 I pulled these at 210°F then wrapped the foil wrapped ribs in a bath towel for 30 minutes sitting on the counter. 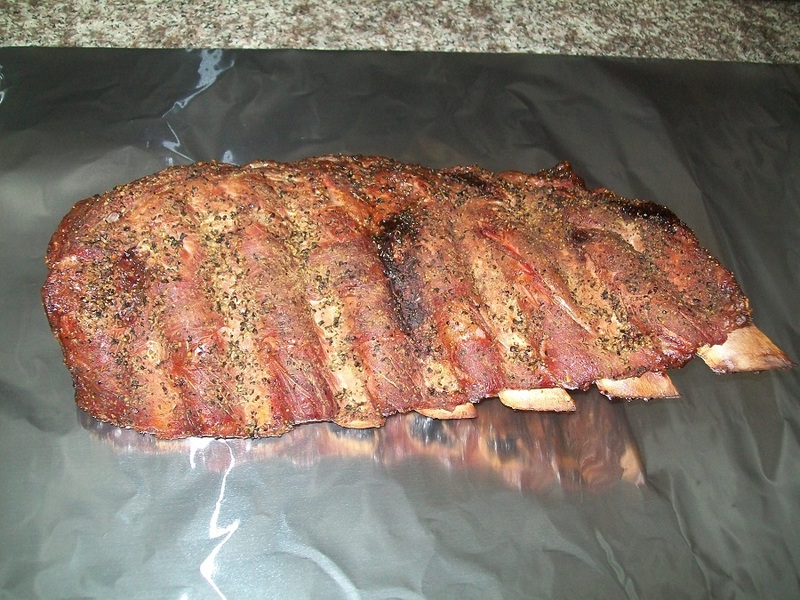 It's a long cook but the drum smoker makes it easy and the result is amazing. I would bet less than 1% of Americans have ever tasted beef this good because of the time it takes. I did have to have another rib but I ate a balanced meal. This can be cooked in the oven so everyone should try this at least once. 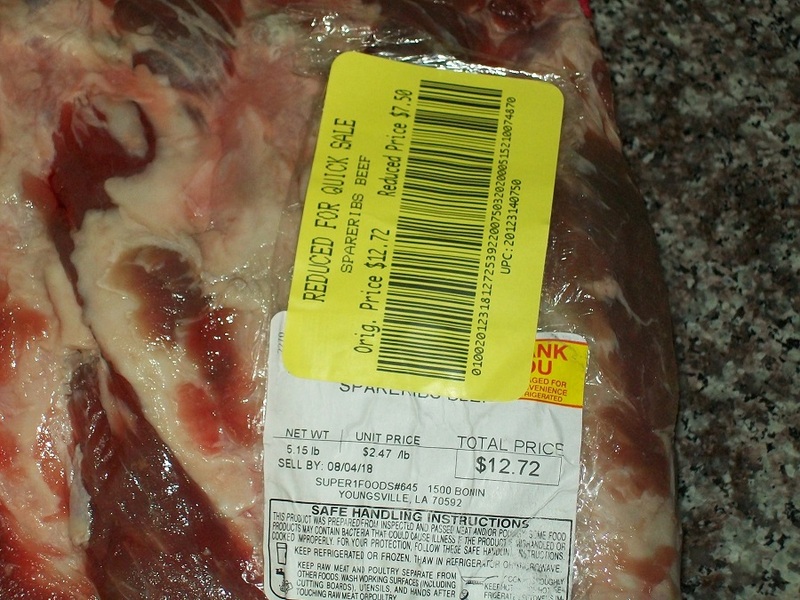 I wish I could get beef ribs on sale like that here.